Are you looking for the perfect Christmas gifts for women in their 20s? Maybe you’re planning a gift exchange with a few girlfriends or you’re a husband shopping for his wife, either way, you’ve come to the right place. 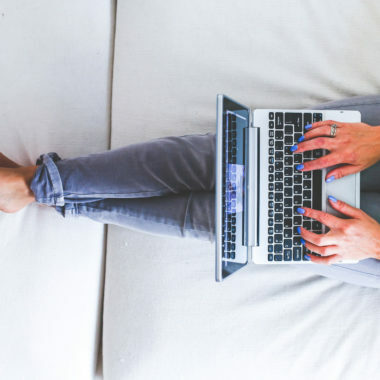 Not only do I know what kind of gifts 20-something women want (because I am one), I have extensively researched for this year’s Christmas gift guide to narrow it down to the top 20 Christmas gift ideas for women in their twenties. 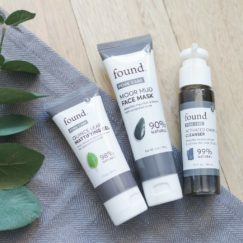 Some of these products I personally own and have tested, while others cone personally recommended as a gift a women like me would love. I’m taking the guess work out of shopping for women in their 20s just to make your holidays a little bit easier. Make her proud of your gift-giving skills and we will just pretend that you didn’t get a little nudge from me. 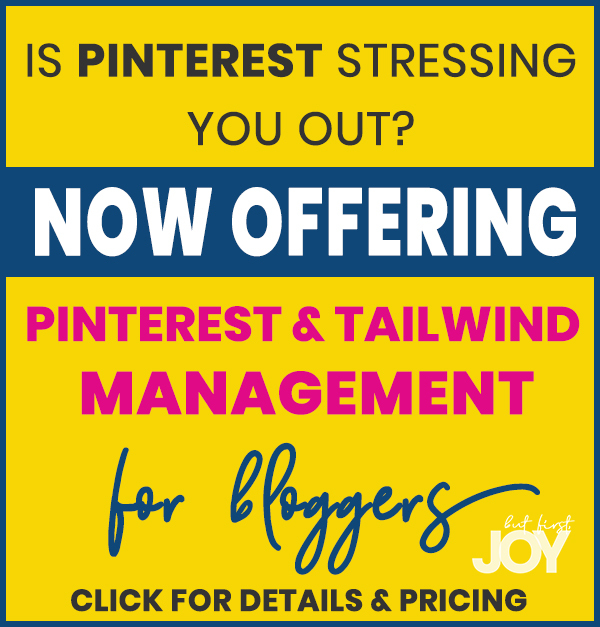 If you have any questions about the products listed here or want specific gift ideas for a woman in her twenties, ask me in the comments below – I’d love to help you shop! What’s really great is that most of these gifts for women can be purchased with Amazon Prime’s 2-day shipping! If you’re last minute shopping, then no worries! 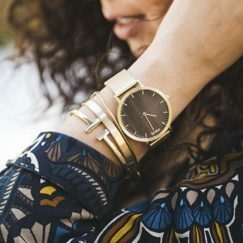 Every women in her twenties needs a good, solid watch to wear as an everyday piece. I personally TMBR watches because of the handcrafted wood pieces and the unique style. The Helm was designed as a daily use timepiece. The minimalist design allows for use with casual attire or can easily transition to a more refined suit and tie. The concept focuses on the natural beauty contained within the grain of the wood dial. Take control and Grab The Helm! Do you have fun with your own life? How often do you really pay attention and choose things to improve your day? 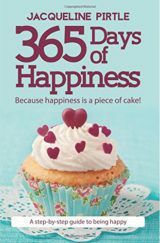 In 365 Days of Happiness, bestselling author, energy healer, and mindfulness teacher Jacqueline Pirtle has created daily inspirations that help you mindfully work towards living a more vivid experience of daily happiness. Showing that you can put in work to change your life while having fun, the practices are full of whimsy and delight. Every woman in her 20s deserves a little inspiration! The CHI Air Spin N Curl is the perfect hair tool for women who are always on-the-go. It’s a quick, safe, and easy way to get those PERFECT curls that we all dream of. It even comes with a cleaning tool, which is a new concept! If you click the photo to the left, you can see my YouTube tutorial! Every woman needs a new wardrobe. Especially a woman in her 30s! There’s something so exciting about a few fashion pieces that fit in all the right places. DailyLook will give her the opportunity to try it before she buys it! 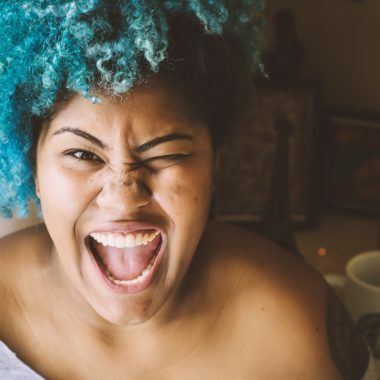 After filling out a style profile, she will be assigned to her very own stylist who will pick out a few incredible pieces and ship them right to her door. She only has to buy what she wants to keep. I promise she will never be happier to try on something that maybe she wouldn’t have picked out herself. Get it here → DailyLook.com – Use Code: PRETTIES10 for $10 off your first box + free shipping! Men just don’t understand the struggle of using a mirror in a poorly lit room. Not only do we need good lighting, we need mirrors that are specifically for cosmetics. That’s exactly what the Spotlight HD Daylight LED Mirror is. 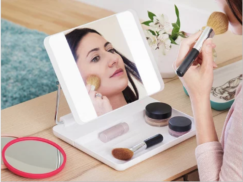 With the magnified attachment mirrors, LED lighting, and the mobility of the mirror, this is the perfect Christmas gifts for a woman in her 20s! Style is a big deal, especially when you’re a twenty-sometihng who’s always on the go! With its tasteful metallic color, the Contigo Couture THERMALOCK Vacuum-Insulated Stainless Steel Water Bottle wouldn’t look out of place at a fashion show or in an art gallery. But this bottle is so much more. Its THERMALOCK vacuum-insulated stainless steel construction keeps drinks cold up to 24 hours or hot up to 10 hours, and the tethered lid is leak-proof when closed. You’ll love that the the spout twists off to allow for easy cleaning and adding ice cubes. Use the soft-touch carrying handle to keep this beauty by your side all day. It’ll even fit most cup holders in your car, or at the gym. At the end of the day, just remember to hand-wash your BPA-free reusable water bottle. The older we get, the more we appreciate a custom framed print of our most special moments. At CanvasPop, you can have all her favorite photos printed on canvas, framed, or even printed on magnets. A women in her 30s would appreciate a personal gift like this one. Get a photo of you two printed on canvas. It’s a gift to be cherished for a lifetime. Every woman should have at least one perfect wrap dress in her closet. It’s the world’s easiest dress to throw on for any occasion. Wrap dresses used to be considered a thing of the past. Fortunately, Karina Dresses has the most beautiful designs that you could ever find. Their dresses are great for every size woman! They fit in all the right places and the price matches the quality. A happy hour in your bath! It sounds dreamy right? It’s real, friends! These bath salts smell incredible! Give that gal something to help her relax. Not only would these make for a great Christmas gift, they’d be a fun gift idea for a 21st birthday! 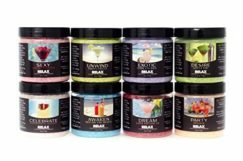 The ideas are endless with these yummy scented bath salts. As a 20 something, I can say that this book has completely changed my life. The author, Rachel Hollis, has a blunt and beautiful way with words. 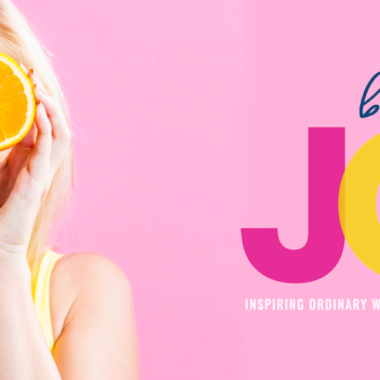 She is a complete inspiration and will motivate any woman looking for some clarity in life. 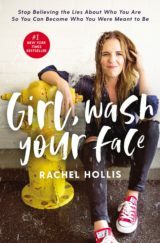 With unflinching faith and rock-hard tenacity, Girl, Wash Your Face shows you how to live with passion and hustle–and how to give yourself grace without giving up. Video calls are a big deal. As a 20 something, I prefer to video chat with my loved ones. Connecting through Portal+ feels less like being on a video call and more like being in the same room, even when you’re far apart. And Portal+ makes it easier to connect more regularly with the most important people in your life. A good health plan should be on every woman’s mind, especially one in her roaring 20s. This is the time for her to grab her health by the horns and take control! 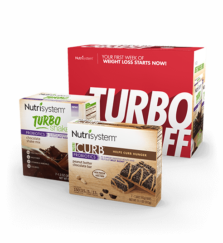 With Nutrisystem, she can begin a lifestyle change that will have her looking and feeling better than ever before! I personally loved Nutrisystem and not only did I get to my goal weight, I changed my eating habits after Nutrisystem! She was BORN to stand out and with this bangle watch, she will do just that. This is a watch that will have everyone asking where she got it and how much was it. It’s beautiful and looks expensive, but is very affordable! Dress up your everyday look with a diamond accent. This rose gold-tone bangle watch is the perfect accessory to do that. 14. Madison Reed Gift Card – For a new hair color! Madison Reed is revolutionizing at-home hair coloring with their bold and beautiful shades that nourish a woman’s hair! The twenties is time to try new colors and have a little fun with it! This is the time for a woman to really decide who she wants to be! Give the woman on your list a Madison Reed gift card in a beauty basket! Help her keep those lucious locks glowing! Oh, the lovely 20s. It’s when a lot women begin their careers and when many enter into motherhood for the very first time. That’s why this tote bag is so perfect! 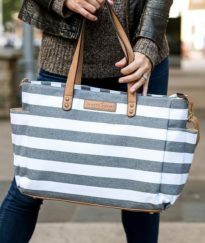 It’s crazy fashionable and large enough for either baby supplies or a laptop & business essentials! The Aquila Tote offers mom a quality, versatile bag with a roomy interior, perfect for all baby’s little essentials. It’s modern exterior and cotton canvas fabric keep mom on trend. There’s nothing better than a go-to jacket. The BB Dakota Wade Faux Leather Jacket is the perfect every occasion jacket. It can add some edge to jeans and a tee, as well as add some class to a simple outfit. Every woman needs an every day piece and this is exactly that! This holiday season, get her a gift that sparkles and shines! Waxing Poetic’s jewelry represents love, hope, friendship, faith, and a devotion to family that we all share. Each of these handcrafted, rich quality, artisan pieces of jewelry hold a unique meaning that each woman makes her own when she wears it. They have many charms and pendants to choose from – so you are sure to find something perfect for the woman (or women) in your life. Give her something she will cherish forever. A coffee a day keeps her awake. I don’t know a single woman in her twenties who doesn’t love a good coffee. 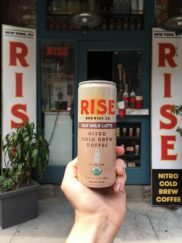 With the current cold brew trend, you’re sure to make her happy with a case of Nitro Cold Brew! Pair these with some pastries, a new thermos, and you’ve got a really nice gift basket for the coffee lover in your life. Isn’t the 20s all about being fab, fit, and fun? That’s why this subscription box is so fantastic. Pass along the fabulous love to her! These boxes are loaded with gifts that can only be appreciated by a woman. For $49.99 per box, you can send her $200 worth of products! Whether it’s a designer eyeshadow palette, a cute scarf, or a trendy mug, she’s sure to be excited about everything in the FabFitFun box! Okay, so tell me: which gifts are your favorite? Are you a twenty-something shopping for yourself? 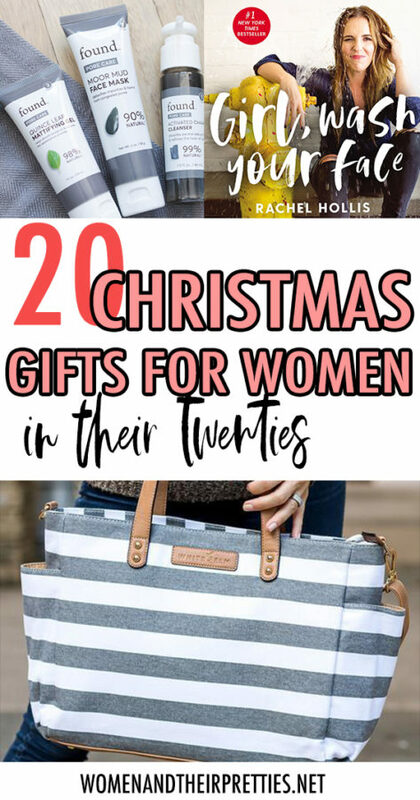 If you’re looking for more gifts ideas for women in their 20s, visit a previous post here. 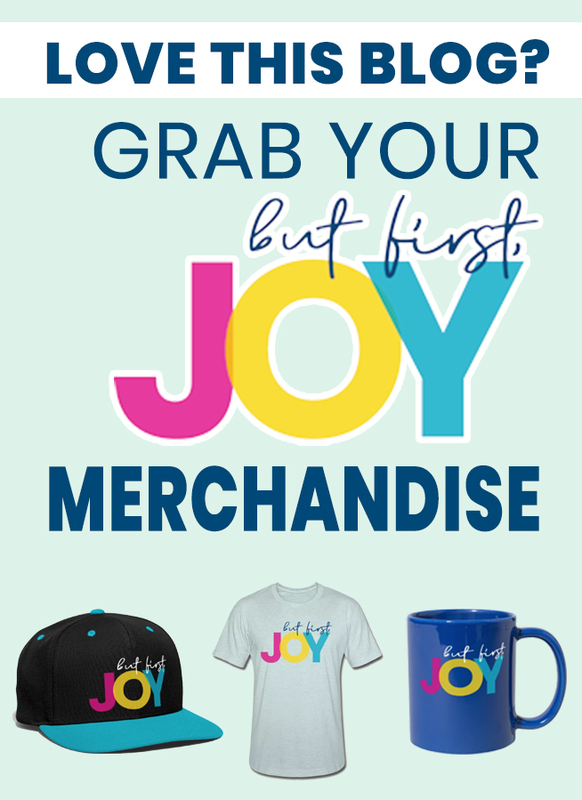 Are you shopping for your best friend and need gift ideas? Checkout my full guide to shopping for your bff. I’ve also got some great gift ideas for women in their thirties here. Have fun, happy shopping, and happy holidays! 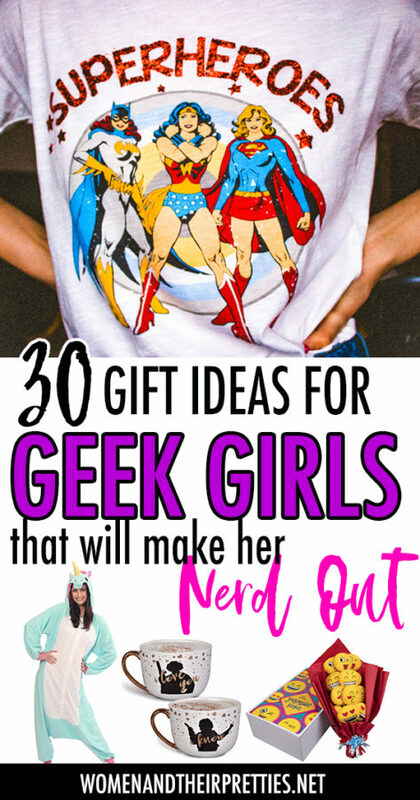 SHOPPING FOR A GEEKY WOMAN? CHECK OUT THE GIFT GUIDE BELOW!